We all know that bears hibernate, birds migrate south, and humans layer up during the winter. But what about pests like mosquitoes, ants, and termites? Where do these pesky pests go? While many people assume that all pests die off over winter, this is not always the case. 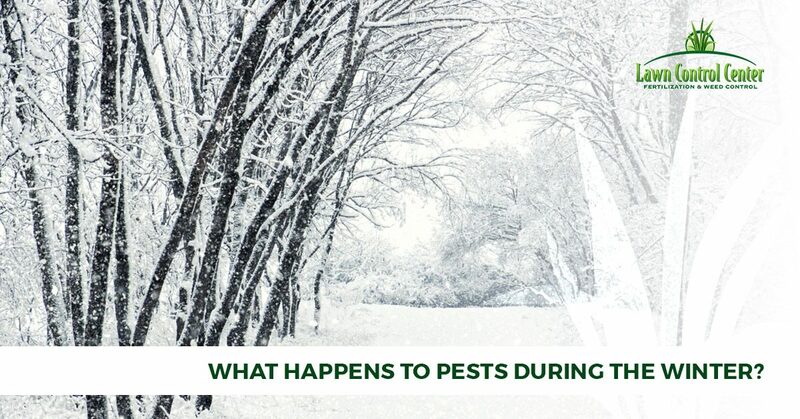 Read on to learn about what some of the most common pests do during winter. How many times have you observed an army of ants marching across the counter during the dead of winter? Chances are, not very often. However, this does not mean that they’re not nearby. In fact, acts are quite good at surviving winters. In the fall, they indulge in vast amounts of food in order to put on enough fat to survive without eating. When winter rolls in, they hunker down with the rest of their colony deep under the soil and wait for spring. How termites respond to winter varies greatly depending on the type of termite and the climate in which they live. For example, subterranean termites in colder climates will dig deep into the s oil to wait out winter. Drywood termites, on the other hand, will seek dry wood for shelter (surprise, surprise). In the springtime when temperatures begin to rise, young male and female termite swarmers will emerge, mate, and look for new nest locations such as a nice warm home. One of the best things about living in a temperate climate with four seasons is the relief you get from summer pests like mosquitoes. However, contrary to popular belief, not all mosquitoes die over winter. Many mosquitoes are able to successfully hibernate in safe places like hollow logs. Once weather conditions begin to improve, female mosquitoes emerge from hibernations, seek out blood sources, and begin developing eggs. Bed bugs are able to withstand a lot. Unfortunately, this includes drastic temperatures. They are able to survive near-freezing temperatures as well as heat up to 122 degrees Fahrenheit. However, the good news is that after a few days of exposure to sub-freezing temperatures, they do tend to die off. The bad news though: our homes provide the perfect refuge to survive the winter. There’s a reason cockroaches have survives millions of years. They are tough. But, wait, are they really able to survive cold weather? Yes, for the most part, cockroaches can survive year-round. But to do this, they need access to warm, moist environments. The American cockroach, for example, spends most of the warm months outside, and once temperatures begin to cool, they migrate into restaurants, factories, grocery stores, and, of course, homes. Do you have pests? Do you want to prevent pests from entering your home this winter? Contact us! We can help rid your home of pests and prevent pests from entering your home. Remember that pests are just a gross nuisance, they can also cause extensive and expensive damage. Learn more about our pest control program here and contact us today to get your free quote.